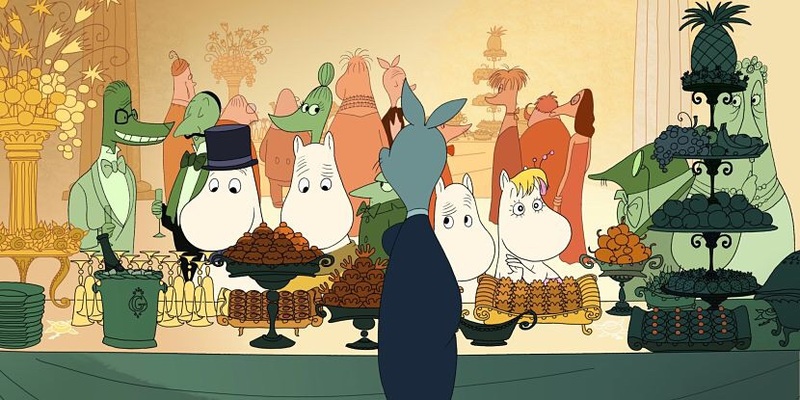 Neatly timed to coincide with currently under way Cannes Film Festival, Moomins On The Riviera – based on Tove Jansson’s beloved creations – takes the eccentric hippo-like creatures on vacation for a sweetly soft fantasy. Swapping the idyllic familiarity of Moomin Valley for the South of France, the Moomins – save Moominpappa and Snorkmaiden, who are swept up by the attention put upon them – attempt to fit into the celebrity-obsession lifestyle, creating mayhem wherever they turn. The messages they learn are admirable, and it all passes by in a timely, affectionate manner under the direction of Xavier Picard. It’s the beautiful, affectionate hand-drawn animation that’s the films true winner. Imbued with a tremendous amount of heart and soul, the style fits the narrative to a tee. There’s plenty of slapstick humour as well that will keep the children’s attention. Moomins On The Riviera is a light but wondrous treat that’s littered with many bright spots.